The 18th CPC National Congress held last month has drawn huge attention from the world, and the British media, as a centre of public voices in the West, are obviously not an exception. Before the actual start of the meeting, the 18th CPC National Congress had been referred to as “the world’s most important political conference this year” by the British media. 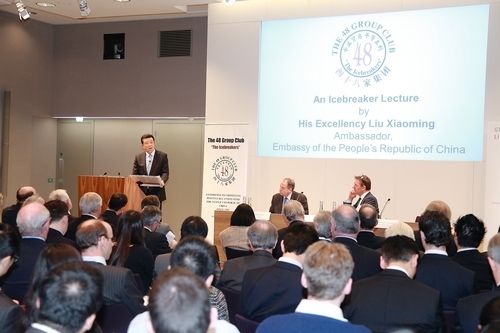 Months after the conclusion to the meeting, the British communities are still enthusiastic to learn more about it and dozens of invitation letters have been sent to Ambassador Liu Xiaoming to talk about the 18th National Congress. One of them is from the 48 Group Club, which is actually the first who asked Ambassador Liu to deliver a speech on that topic a few months earlier. It is also the oldest foreign business association of any in the world who started an exchange with China almost 60 years ago. Throughout this long relationship the 48 Group Club has been a close observer of the major milestones of the evolution of the People’s Republic of China. 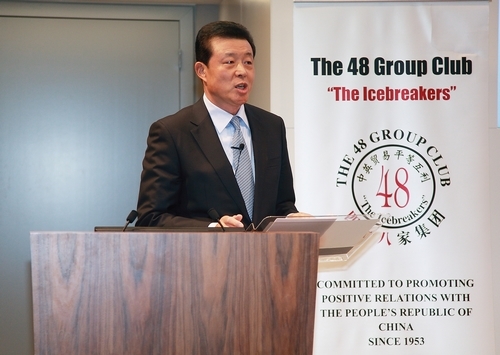 The 48 Group Club is committed to promoting China-UK cooperation and is an old good friend of the Chinese people. 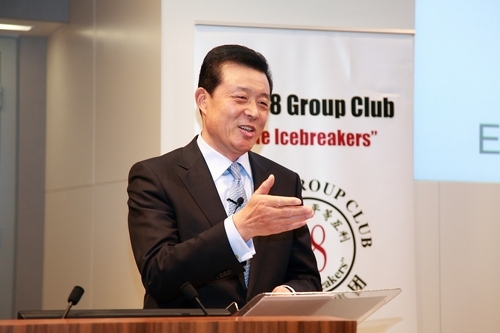 On December 12, Ambassador Liu Xiaoming delivered a keynote speech entitled “A Solid Path, A Bright Future” at an Icebreaker Lecture with the 48 Group Club. 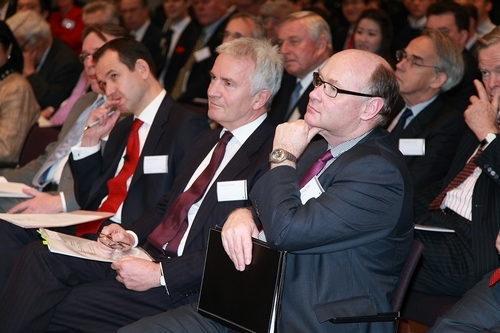 Over 200 people attended the lecture, including Sir Geoffrey Howe, former Deputy Prime Minister of the UK, Mr. David Miliband, former Foreign Secretary of the UK, Mr. Liam Byrne, former Shadow Secretary of State for Work and Pensions, Mr. Richard Graham, Chairman of the All Party Parliamentary China Group, Mr. Douglas Flint, Chairman of HSBC, Sir Henry Keswick, Chairman of Jardine Matheson Holdings Ltd., Mr. Jim O’Neill, Chairman of GSAM, and other senior figures and celebrities from all sectors of the UK. 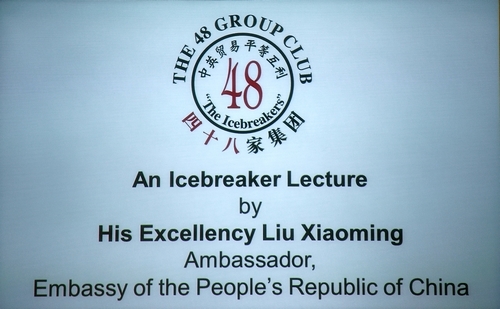 In short, the lecture hall was full of people listening to Ambassador Liu attentively. 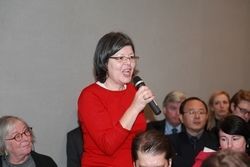 Ambassador Liu got straight to the point and said that the 18th National Congress actually addressed four questions. 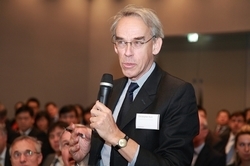 As an attendee of this conference, he would elaborate on these questions one by one and share his own observations with the audience. This fresh perspective immediately attracted the audience and they listened to the Ambassador attentiely was great interest. Ambassador Liu said that the CPC had achieved a lot in promoting democracy within the party over the last 91 years. 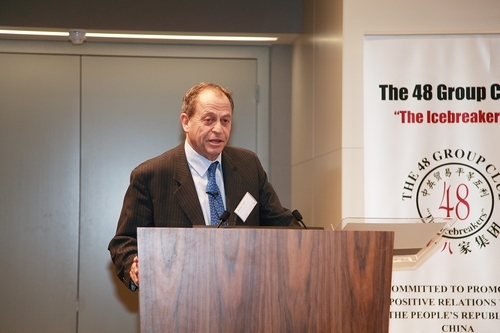 He used a lot of facts and figures to illustrate this point: the process of the elections at the 18th CPC National Congress which is “clear and predictable”; the drafting process to create the 18th Congress Report; for the first time ever the 18th Congress established a system that gives Party Congress delegates the mandate to make written proposals; and besides, the Report also stressed the need to raise the ratio of ordinary workers and farmers in the Party Congress delegates. He also said, “the CPC has all along insisted on using its democracy to catalyse democracy across China. So the progress of CPC’s democracy will have a rippling effect.” China would, as Ambassador Liu said, continue to move forward political reform actively and properly. There is a commitment to broaden and promote people’s democracy to its full. In the future, the Chinese nation’s dream for democracy will certainly be made true. Then he moved to the second question: why the CPC has enjoyed the continuous support of the Chinese people? Ambassador Liu said that the CPC has a clear understanding of its own purpose and mission. For this he also gave a few examples, from the CPC’s motto “To serve the people heart and soul” to “serving the people”, a prominent feature of the Report delivered at the 18th CPC Congress. He then introduced the 18th National Congress’ plans for ensuring and improving people’s life. He said, “High on the CPC’s agenda is not only continued economic growth, but also achieving a development of the people, for the people and by the people. In particular, the Report set the target of doubling, not only GDP, but also incomes by 2020 on the basis of the 2010 level. This is the first time that the CPC has set clear target for the growth of people’s income.” Naturally such a Party that puts people first and is committed to serving the people has won the trust and support of the people. In turn the people will continue to give it the power to govern and the power to lead. As Ambassador Liu said, whether a political party is advanced or backward is determined by its guiding thought. The CPC’s guiding thought has been constantly updated. The recent 18th Congress established the “scientific outlook on development” as its new guiding thought. This is an innovation in theory. It is based on the CPC’s many explorations in the past decade. The ‘scientific outlook on development’ is an umbrella term that embraces a summary of China’s modernisation. It puts equal emphasis on economic, political, cultural, social and ecological development. So it can be seen that environmental protection and sustainable development assumes greater prominence in China’s development. All in all, the CPC is a party with a free and open mind. It is down to earth. It seeks truth from facts and keeps up with the times. It always looks to something new and fresh in ideals, in theory and in practice. It always echoes the call of the times and follows the wish of the people. A political party with these qualities must be an advanced party. 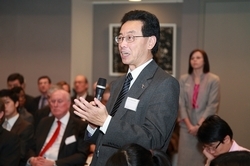 Ambassador Liu said that for the past three decades China’s GDP has been growing at an average annual rate of 10%. But at the same time China has also paid a heavy environmental price for the high-speed economic growth. For example, China’s energy consumption per unit of GDP is eight times as much as that of Western countries, including the UK. As the largest developing country, China still faces many special challenges and must guarantee a higher rate of economic growth. In the next five years, China needs to maintain an annual growth rate of 7%. Meanwhile, drawing lessons from the past, the Chinese people have reached a consensus not to simply pursue the growth of GDP, but also pay more attention to the improvement of the quality. The 18th CPC National Congress has proposed to build a resource-conserving and environment-friendly society and has integrated it into the overall layout of China’s modernization. This fully embodies the idea of ustainable development. China will stick to a balanced and harmonious development to ensure that the people could share the fruits of growth. 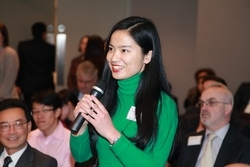 Some of the audience were curious about China’s political party system and the system of political consultation, and said that they knew little about how these systems worked. In response, Ambassador Liu said that the multi-party cooperation and political consultation system under the leadership of the CPC is one of China’s basic political systems. Apart from the Communist Party of China, there are also eight non-Communist parties who are actively participating in government and political affairs. It fully demonstrates the democratic character of the Chinese political system. The political system of China is in line with its national conditions and is chosen by the Chinese people independently. Different countries have different types of democratic systems. Even for the Western countries, “British democracy” is still very different from “American democracy”. We should respect the right of the people of all countries to choose their own political path and the way to achieve democracy independently. As the ruling party, the CPC’s ability of administration and leadership has got full recognition from the Chinese people. The 18th CPC National Congress announced a series of targets, including doubling the incomes of people in both rural and urban areas by 2020 (on the basis of the 2010 level), achieving the goal of building a comprehensive well-off society by 2021, the 100th anniversary of the CPC, and building a prosperous, strong, democratic, civilized and harmonious modern socialist country by 2049, the 100th anniversary of the founding of New China. These goals strike a chord with the people and are supported by the people. They hope under the strong leadership of the CPC, they will finally realize these goals. 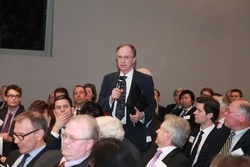 The audience also raised several other questions, such as the style of China’s new leadership, the reform of China’s political system, the implications of the statement “China will not pursue a different path or change its origin intention,” the reform of China’s state-owned enterprises, China’s foreign policy, the “return” of the United States to the Asia-Pacific, education exchange between China and the UK, and small and medium-sized enterprise cooperation, etc. Ambassador Liu answered them one by one. As one of the hosts of the lecture, Chairman of the 48 Group Club Stephen Perry made a summary and spoke highly of Ambassador Liu’s speech. “Ambassador Liu has introduced to us,” he said, “the quintessence of the 18th CPC National Congress and answered the questions that are of greatest interest to us. The 18th Congress Report clarified China’s future development path. The world must learn to listen to the voice of China, including its macro-thinking and detailed action plans. It can be predicted that while bringing more benefits to its own people, China will contribute a lot to the economic development of the world. In addition, China is actively promoting democracy within the Party and using it to catalyse a wide range of democracy across China. Those who are concerned about China’s political reform should not turn a blind eye to China’s continuous efforts in this aspect and also, they should not ignore the fact that Britain’s universal suffrage is produced far behind of the industrial revolution.” Mr. Perry had full confidence in China’s future and hoped that China and the UK would handle their differences properly and grasp the opportunity to embrace greater development of their relations. 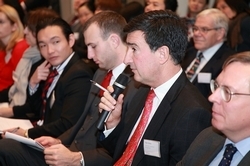 The audience thanked Ambassador Liu for his amazing report and for answering their questions. They said that Ambassador Liu’s brief introduction helped them a lot in understanding the key messages from the 18th National Congress. With China’s rising status, the 18th CPC National Congress not only has extraordinary meaning to the Chinese people, but also has a great influence on the world. The firm, confident, optimistic and positive spirit reflected by the 18th CPC National Congress not only raised the spirit of the Chinese people, but also inspired all the people who were concerned about China’s development and were willing to strengthen cooperation with China. They expected and believed that China would have a brilliant future. 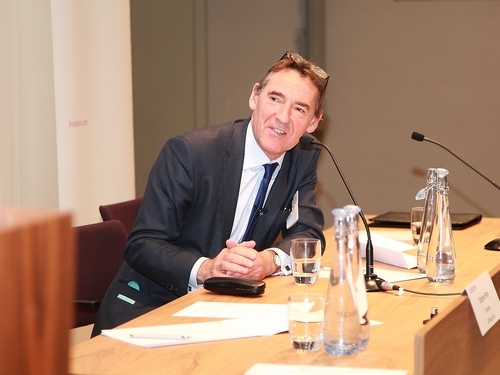 They hoped and would try to contribute to the sustainable and stable development of China-UK relations in the future.